Pad 39, Hot Air and "Unicorns Dancing in Flame Ducts!" 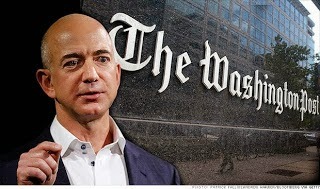 Jeff Bezos. Photo c/o Washington Post. SpaceX CEO Elon Musk has accused Blue Origin and United Launch Alliance (ULA) of trying to stonewall SpaceX’s expansion plans by delaying the lease of an old NASA launchpad that SpaceX wants to acquire. 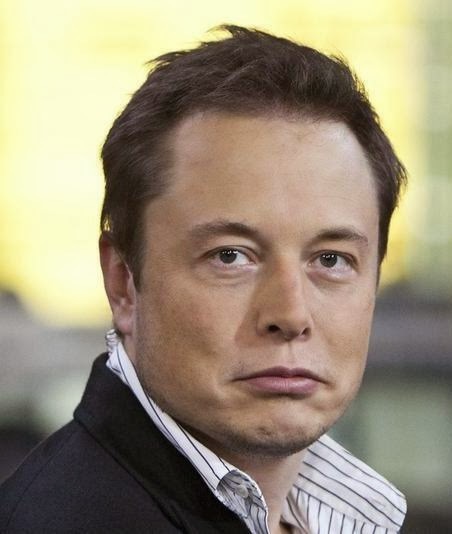 SpaceX CEO Elon Musk grimly eyeballing potential unicorns. Photo c/o Valuewalk.com. SpaceX and Jeff Bezos backed Blue Origin are both seeking to lease Launch Complex 39A at Kennedy Space Center, Florida from NASA. Launch Complex 39A is famous for having been the launch point for the Saturn V moon rockets as well as the recently retired space shuttles. In May, both SpaceX and Blue Origin responded to a NASA request for proposals to lease Launch Complex 39A, which the agency says it no longer needs. SpaceX proposed an exclusive five-year lease on the complex for launching its Falcon rockets. Blue Origin made NASA a counter-proposal for converting the pad into a commercial spaceport open to all launch companies. A war of words between the two firms then ensued, with Blue Origin accusing SpaceX of attempting to establish a monopoly on launch facilities. The prize: A mothballed Pad 39A in May 2013. Photo c/o NASA. On Sept 3rd, Blue Origin raised the stakes by filing a formal protest with the US Government Accountability Office (GAO) on the grounds that NASA’s solicitation process was biased in favour of SpaceX. The GAO has until Dec. 12 to issue a ruling on Blue Origin’s protest. Under US federal law, gov’t agencies cannot award contracts when a solicitation is under protest---essentially barring NASA from leasing the pad to anyone until the dispute is resolved. From a SpaceX standpoint, we view [Blue Origin] and [United Launch Alliance’s] action as a phony blocking tactic and an obvious one at that. BO has not yet succeeded in creating a reliable suborbital spacecraft, despite spending over 10 years in development. It is therefore unlikely that they will succeed in developing an orbital vehicle that will meet NASA’s exacting standards in the next 5 years, which is the length of the lease. That said, I can’t say for sure whether [Blue Origin’s] action stems from malice. No such doubt exists about ULA’s motivation. However, rather than fight this issue, there is an easy way to determine the truth, which is simply to call their bluff. If they do somehow show up in the next 5 years with a vehicle qualified to NASA’s human rating standards that can dock with the Space Station, which is what Pad 39A is meant to do, we will gladly accommodate their needs. Frankly, I think we are more likely to discover unicorns dancing in the flame duct. 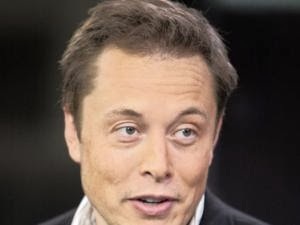 Although Musk shrewdly countered Blue Origin’s threat by matching their offer of openness, the conflict shows no signs of abating. Rather, the struggle between SpaceX and Blue Origin has shifted from a war of maneuver into one of attrition, with each side deploying all the political and financial might at its disposal. 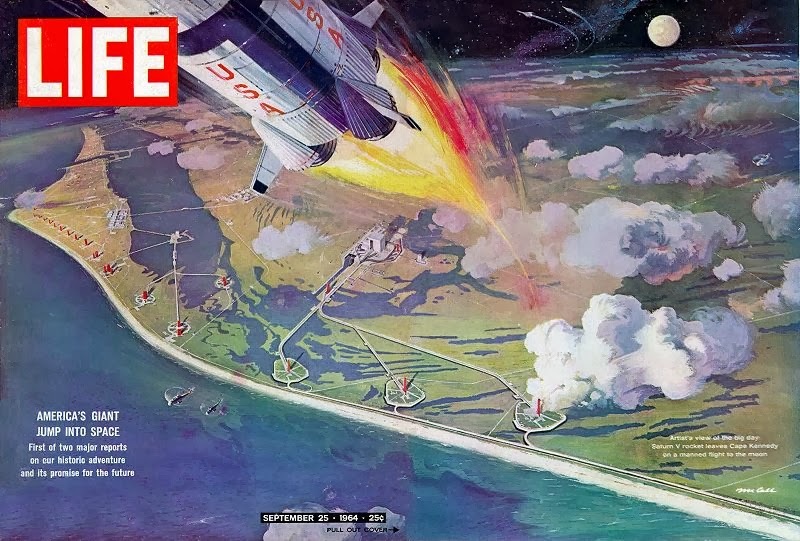 The legacy: The cover of the September 25th, 1964 issue of Life Magazine showing launch complex 39A, 39B, 39C and 39D. Photo c/o Retroweb and the Heroic Relics website. Blue Origin’s bid for 39A has received backing from several US politicians. ULA, the Boeing/Lockheed Martin joint venture that has launched almost all U.S. government payloads, has also allied with Blue Origin, telling SpaceNews in July that it planned to “continue to share our technical expertise in launch infrastructure with Blue Origin to enable their leadership to manage the asset for multi-user capability, for which ULA could be one of the users.” SpaceX’s currently in-development Falcon Heavy rocket has the potential to take lucrative Pentagon contracts away from ULA. SpaceX’s bid for Pad 39A has a large power base in Florida. U.S. senators Bill Nelson and Marco Rubio as well as all 27 of the state’s House members wrote to NASA Administrator Charlie Bolden after Blue Origin’s Sept. 3 GAO protest, encouraging the NASA chief to ignore outside pressure when selecting a new tenant for Pad 39A. This is in addition to Musk’s well-known good standing with US President Obama. Whichever winner emerges from this struggle, it would be in the interests of all if the mantra of openness is practiced as well as preached. This industry’s future will depend on it. Upgraded Falcon-9. Image c/o SpaceX Upgraded Falcon-9 Demonstration Mission press kit. It's been a good day for both NewSpace advocates and champions of the Canadian space industry, with substantial domestic contributions to both the SpaceX upgraded Falcon-9 demonstration mission launched Sunday from Vandenberg Air Force Base, and the successful docking of the first Cygnus orbital resupply mission to the International Space Station (ISS) earlier the same day. SpaceX CEO Elon Musk. Photo c/o Bloomberg. 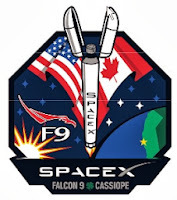 As outlined in the 3pm EDT SpaceX briefing on the launch, tweeted by many attendees including space industry analyst Jeff Foust, Florida Today reporter James Dean and science writer Michael Belfiore, all primary goals for the mission have been achieved. All satellites, including the Canadian designed and built Cascade SmallSat and Ionospheric Polar Explorer (CASSIOPE) satellite, CUSat 1 and CUSat 2 (from Cornell University), the Drag and Atmospheric Neutral Density Explorer (DANDE, from the University of Colorado at Boulder), and three Polar Orbiting Passive Atmospheric Calibration Spheres (POPACS 1, 2, and 3) have been deployed into the proper orbits and are communicating with the ground controllers. SpaceX founder and CEO Elon Musk even expressed "a huge relief to have successfully delivered CASSIOPE to orbit. It had been weighing on me quite heavily." The upgraded Falcon-9 rocket also performed "slightly better than expected" as did the new Vandenberg launch pad, which SpaceX was using for the first time. 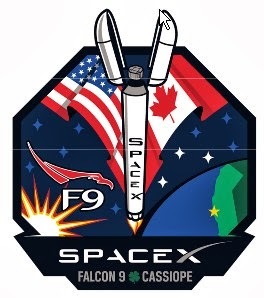 SpaceX-Cassiope mission patch. Image c/o SpaceX Upgraded Falcon-9 Demonstration Mission press kit. It's also worth noting the partial success of tests designed to explore the potential of restarting the Falcon-9 first and second stages after initial use in order to guide the stages to a soft landing and possible reuse during future missions. While the second stage restart failed, SpaceX technicians expressed confidence that they understand the problem and will fix it in time for the next scheduled launch. The first stage restart, involving three of the rocket’s nine first-stage Merlin 1D engines, was successful in slowing its descent into the atmosphere. But SpaceX was unable to carry out a second burn of a single engine after the stage went into a spin and ran out of fuel due to what was described as a "centrifuge effect." SpaceX technicians expressed confidence that the centrifuge effect can also be addressed in time for upcoming missions. 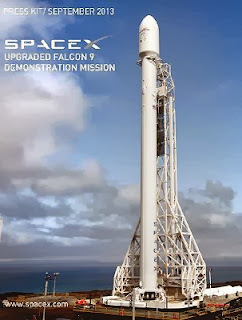 SpaceX will not attempt any first or second stage reusability demonstration maneuvers during its next two launches, but most future missions of the rocket are expected to feature a reusable first stage, using legs similar in design to the SpaceX Grasshopper testing vehicle. SpaceX wasn't the only commercial company in the news today. The first Cygnus unmanned resupply spacecraft, developed by Orbital Sciences Corporation as part of NASA's Commercial Orbital Transportation Services (COTS) developmental program also managed to finally dock at the ISS. Cygnus’ 7 a.m. EDT arrival came a week later than originally planned, delayed first by a software glitch and then by the higher priority docking of a Russian Soyuz capsule with three new station crew members. "Vote for me and I'll set you free!" Graphic c/o http://alain.ca/. As outlined in the July 22nd, 2011 CBC post "Cygnus spacecraft to use Canadian technology," Ottawa-based Neptec Design Group was involved in the design and development of Cygnus and will contribute technology to future missions. Of course, the only true test of the NewSpace age is mostly where old space age advocates end up, and it's worth noting that Alain Berinstain, the former director of planetary exploration and space astronomy at the CSA is now running for the Federal Liberal party nomination in Dorval-Lachine (LaSalle). Berinstain gives some background to his decision in the September 16th, 2013 blog post "Stand Up for Science" on the Psyence: Alain Berinstain website. 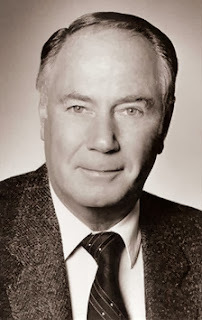 Dr. Philip Lapp; 1928 - 2013. Photo c/o Canadian Air & Space Museum. One of the originators of our modern Canadian space industry has passed away after a long illness, on September 25th, in Toronto. 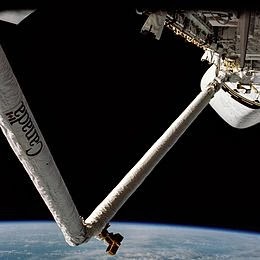 The first Canadarm, deployed as part of the STS-2 space shuttle mission in November 1981. Photo c/o Wikipedia. Dr. Philip A. Lapp certainly accomplished a lot more than he is credited for, but he is best known for co-founding SPAR Aerospace, the firm responsible for the design and manufacture of the very first Canadarm. He gave his nation the push necessary to expand the field of space sciences, and helped create new opportunities, and challenges for Canadian scientists and engineers. His active participation as leader of the Alouette team that built the first Canadian satellite helped us become the third nation in space, after the USSR and the United States. Allouette 1.Photo c/o Defence Research and Development Canada. Dr. Lapp was also one of four co-authors of a document entitled “Upper Atmosphere and Space Programs in Canada.” The document, written in 1967 and now known simply as the “Chapman Report,” recommended using Canadian satellite and space technology for commercial activities such as communications and resource management instead of focusing only on scientific research. Over time, the report became Canada’s original blueprint for space activities and remains an important reference document to this day. The complete Chapman Report is available online here. His guidance and expertise helped “launch Canada into space,” but even scientists and engineers working in the field were sometimes not fully aware of his great contributions. On top of everything else, he worked towards the establishment of what was then called the Canadian Astronautical Society and is known today as the Canadian Aeronautics and Space Institute (CASI). When he had time to spare, Phil Lapp would contribute his time and expertise as a board member for the Canadian Air and Space Museum, in Toronto. "His hand was in so many of these different things that we now attribute to our Canadian air and space program," said Robert Godwin, the museum’s space curator. Lapp’s work was not exclusive to Canada, and his intelligence has been demonstrated on American aerospace technology. He did not receive the necessary acknowledgment for his work on NASA’s early capsules, whereby he played an important role in the manufacturing and testing of antennae for the Apollo, Gemini, and Mercury capsules. The CF-105 Avrow Arrow replica built by the Canadian Air & Space Museum in 2006. 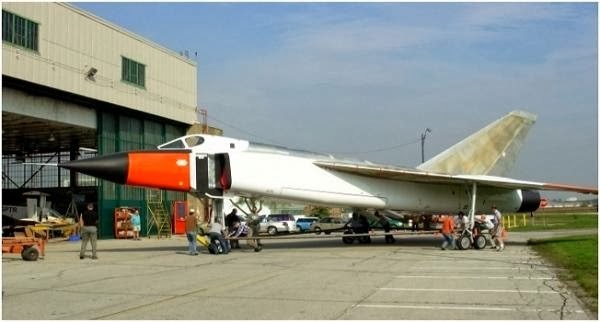 As outlined in the September 21st, 2013 CTV article "Plans underway to move historic Avrow Arrow replica for public show," the model is being relocated to the International Centre in Mississauga, ON. where it will be on public display during the Canadian Manufacturing & Technology Show , from September 30th to October 4th. Photo c/o Canadian Air & Space Museum. His professional life was outstanding, and his family, friends, and acquaintances describe Dr. Lapp as a kind and approachable man. "But he had a common touch... He got along with everyone, “said his wife, during a recent interview. Philip Lapp was a Canadian space pioneer, as well as a man loved and respected by many. His ingenuity and modern mindset opened new doors for Canada in the world space industry, and made it known that Canadian space science and engineering is "world-class." Unfortunately, word of his contributions did not travel as far as necessary, but he must be remembered as the Canadian hero he truly is. 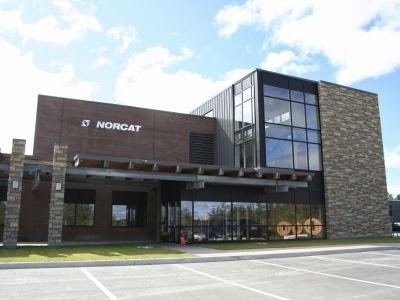 NORCAT HQ in Sudbury.Photo c/o Northern Life. The department at the Northern Centre for Advanced Technology (NORCAT) responsible for space technology development has been spun-off as Deltion Innovations Ltd.
Mining is not an activity the public usually associates with space, but NORCAT, a trade school/R&D centre for the Canadian mining industry located in Sudbury, ON, has had a solid track record of innovation in this field. Since 1999, NORCAT’s Prototype Development Department (PDD) has developed terrestrial and space mining systems and enabled technology transfer between the mining and space sectors. 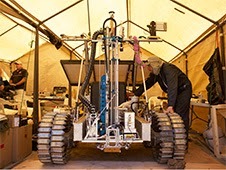 The CSA Artemis Jr. rover holds the Regolith and Environment Science and Oxygen and Lunar Volatiles Extraction (RESOLVE) instruments. The team has worked with the Canadian Space Agency (CSA) and NASA to develop a drill called the Regolith and Environment Science and Oxygen and Lunar Volatile Extraction (RESOLVE) for use in the 2018 Resource Prospector mission. A joint effort between the CSA and NASA, the mission will send a robotic rover to the Moon in an attempt to extract water ice from its polar regions and process it into liquid water on site. The PDD has also helped the CSA and NASA in developing a lunar regolith (soil) simulant for research purposes. This past summer, however, NORCAT chose to end all development of space mining technology. The PDD, wishing to preserve a capability it considered unique to Canada (and, perhaps, the world), formed a private firm, Deltion Innovations Ltd.
Sudbury, ON based Deltion (whose name derives from the Greek word for ‘writing tablet’) is primarily focused on the field of In-Situ Resource Utilization (ISRU). In simplest terms, ISRU is the idea of using the resources found in space (i.e. the Moon, Mars, asteroids, etc.) to achieve a goal in space. Examples of this include using solar cells to harness solar energy for power, extracting gasses from a planet’s atmosphere to make air and fuel, or mining asteroids to extract metals for construction. ISRU’s main selling point is its potential to vastly reduce the costs of human space exploration. By using the resources found in space, you reduce the need to bring them along on powerful rockets, which require vast quantities of expensive fuel. New Deltion CEO Dale Boucher at the 2010 Planetary and Terrestrial Mining Science Symposium (PTMSS2010). As outlined on the ISRU Info website, the PTMSS events will continue under the Deltion label. Space advocates, seeing the great cost-saving potential, spent decades vainly imploring NASA to adopt ISRU for future human missions. NASA, rejecting ISRU as too risky, continued to design traditional, prohibitively expensive missions. In the past decade, however, ISRU has gained wider acceptance, particularly in the private sector. Firms like Moon Express, Planetary Resources, Deep Space Industries and Golden Spike have all announced mission plans with ISRU at their core. A just-completed concept study for a mission based on the RESOLVE project for the CSA (in partnership with Neptec Design Group of Ottawa) which would involve a sample acquisition system for the south pole of the Moon. Development of mining automation equipment, with trials expected to begin soon. Deltion also continues to maintain good working relationships with various aerospace and mining companies, including Neptec, EVC Ltd of Hanmer, ON, Ontario Drive and Gear of New Hamburg, ON. and Xiphos Technologies of Montreal, PQ. The firm also maintains strong ties to the CSA and NASA. Deltion Innovations, by porting the experience and know-how of the mining sector to the realm of space, will help achieve an interesting symmetry; the knowledge gained from the world beneath the ground will help us to harness the world above the clouds. Kim Binsted, all suited up for her role as chief scientist for the 2007 - 2008 Flashline Mars Arctic Research Station (FMARS) long duration Mars exploration analogue mission on Devon Island. Photo c/o Hawaii Public Radio. Being backstage in the space industry can be just as challenging and satisfying as being an astronaut visible on the main stage. Very few people outside (or even inside) the entertainment industry are able to generate humour on cue, except perhaps for Dr. Kim Binsted, who once wrote a software program (a "Joke Analysis and Production Engine") to generate automated puns and riddles ("What do you call a spicy missile? A hot shot!") and then turned the concept into a new branch of linguistics. Dr. Binsted is a member of the faculty of Information and Computer Sciences at the University of Hawaii, where she does research on artificial intelligence, human-computer interfaces, and human factors for space exploration, while also working towards a M.Sc in planetary geology. 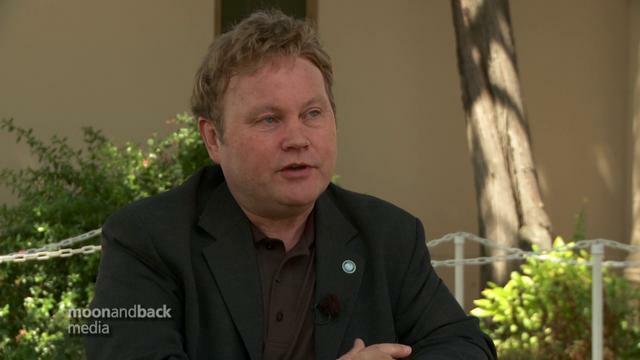 Dr. Binsted was the chief scientist for the 2007 Flashline Mars Arctic Research Station (FMARS) mission, and is now working on the Hawaii Space Exploration Analogue and Simulation (HI-SEAS) project, studying food preparation methods to aid in long-term space travel and exploration. Catherine Louise Johnson. Photo c/o Planetary Science Institute. Another one of the many women deserving acknowledgement for their efforts in Canadian space sciences and engineering is Catherine Louise Johnson, a professor of Planetary Geophysics at the University of British Columbia. She is a member of the MErcury Surface, Space ENvirontment, GEochemistry, and Ranging mission (MESSENGER), which completed flybys of Earth, Venus, and three flybys of Mercury, which had never been done before. Lunar geophysics and long-term geomagnetic field behavior are also areas in which Professor Johnson excels and she is currently working to solve the riddle of the length of time in which Mars could have supported an atmosphere. Oddly enough, Darlene Lim, is an expert in limnology (the study of inland, fresh water bodies). Born in Kingston, ON but raised in Edmonton, she's also a respected geobiologist at the NASA Ames Research Center, who has conducted numerous experiments in the northern Arctic, the southern Antarctic, and central America. 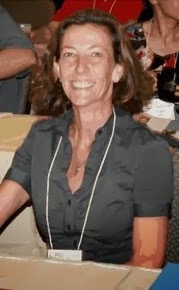 Since 1999, she has participated in the NASA/SETI Haughton Mars Project, taken part in the 2000 - 2001 FMARS long duration Mars exploration analogue mission on Devon Island and currently sits on the steering committee of the Mars Society, which administers FMARS. Dr. Lim is responsible for the co-establishment of the Pavilion Lake Research Project, aiming to determine the origin of freshwater micro biota and attain a greater understanding of these oldest Earth life forms. 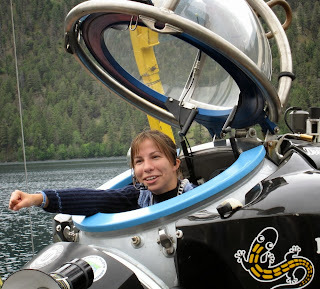 Margarita Marinova prepares for action aboard the DeepWorker 6, a one man submersible used by the Pavilion Lake Research Project. Photo c/o Ben Cowie/ Pavilian Lake Research Project. 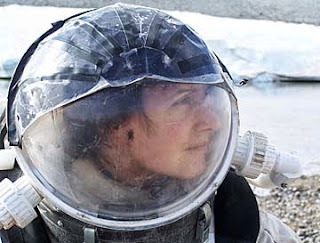 From testing spacesuits in Antarctica to piloting a one person submersible, Dr. Margarita “Mars” Marinova has a very well rounded resume relating to the study extreme environments. She received a bachelor’s degree in Aeronautics and Astronautics, and then continued on to attain a M.Sc. and Ph.D. in Planetary Sciences at Caltech. 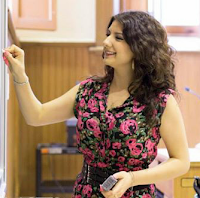 Her work in Munich, Germany, on rocket propulsion engines, and the limits of habitability for Earth life have contributed to a marriage between nature and technology, which Dr. Marinova uses to research the possibility of life on Mars and beyond. 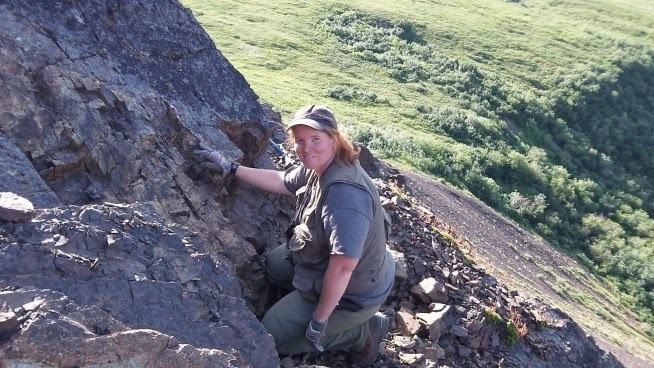 From a very early age, Dr. Kim Tait knew she had an interest in rocks and minerals. This passion has driven her to pursue geology and geoscience and she is currently working as a curator of mineralogy at the Royal Ontario Museum (ROM) with a cross-appointment as Assistant Professor of Geology at the University of Toronto. She's even co-written a paper for the scientific journal Nature, which sheds new light on the age and composition of 200 million year old crystals agreed to have come from lava flows on Mars and suggests that many parts of the Martian surface are much younger than originally thought. “We have learned something very important about the application of geochronology and about the Red Planet itself,” according to Tait. Kim Tait, climbing a mountain during a recent trip to the Yukon. Photo c/o the ROM Research Colloquium. Was the Magellan Contract for RADARSAT Constellation a "National Policy?" The September 4th, 2013 announcement that Mississauga, ON based Magellan Aerospace had been awarded the $110Mln CDN contract from MacDonald Dettwiler (MDA) to build the three satellite buses required for RADARSAT Constellation (RCM) has come in for some disparaging American comments, including a statement that the deal "hinged on national industrial policy as much as (on) technical know how." The SS/L 1300 satellite bus. First available in the 1980's and used for dozens of communications satellites, the current version has a total broadcast power range from 5 to 25 kW, and can accommodate from 12 to 150 transponders. Graphic c/o SS/L. 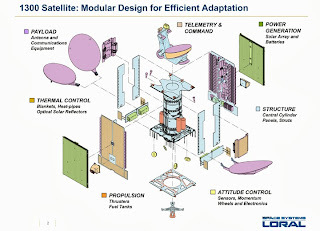 As outlined in the September 19th, 2013 Space News article "Space Systems/Loral Passed over by Canadian Parent for Radarsat Work," the final deal could easily have gone to MDA subsidiary Space Systems Loral (SSL), which would have used a smaller, modified version of the 1300 series satellite bus manufactured out of the SSL facility in Palo Alto, CA. 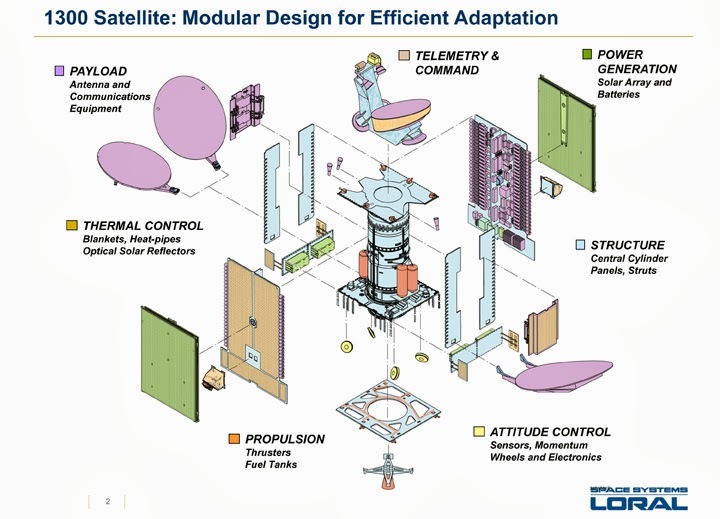 Magellan was originally awarded a $6 million contract in 2009 for what was called a "phase B preliminary design" of the RCM satellite bus, and was generally perceived of as being the leading contender for follow-on bus contracts. A spacecraft bus generally consists of the spacecraft structural frame, propulsion systems, power and intra-spacecraft satellite communication equipment. 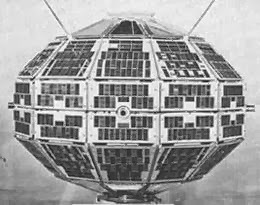 The CASSIOPE satellite, which also uses a Magellan MAC-200 bus. The existing design will be upgraded to accommodate the large, deployable C band surface aperture radar (SAR) and increased power subsystem capacity as required by RCM, plus new GPS and propulsion subsystems to support the precision orbit maintenance requirements and improved avionics to support the seven year mission lifetime. Image c/o CSA. 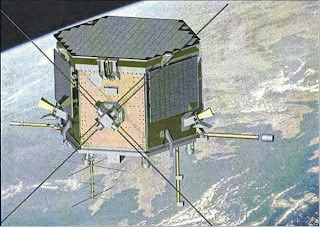 The first public indication that MDA was considering alternatives to Magellan was the March 13th, 2013 SpaceRef.ca article "MDA Satellite Contract Move Infuriates Government" which focused on unattributed reports that MDA was considering the possibility of "not subcontracting" a significant piece of RCM to Magellan. According to the SpaceRef article, this suggestion "blindsided the government" which was expecting MDA to subcontract out bus manufacture to Magellan, based on its participation in previous contracts and the possession of domestic satellite manufacturing facilities. The Magellan MAC-200 small satellite bus finally chosen for RCM on September 4th will be manufactured in the Magellan facility in Winnipeg, MB. As outlined in the September 4th, 2013 Magellan press release "Magellan Aerospace Awarded $110 Million Contract for RADARSAT Constellation Manufacture" the new bus will be an upgraded (and larger) version of one which has previously only been used for the Canadian Space Agency (CSA) CAscade, SmallSat and IOnospheric Polar Explorer (CASSIOPE) satellite, which is currently awaiting launch on the first flight of the upgraded SpaceX Falcon 9 v1.1 rocket. An example of how large companies outsource aircraft manufacturing to a variety of international subcontractors, often to the detriment of local job creation. 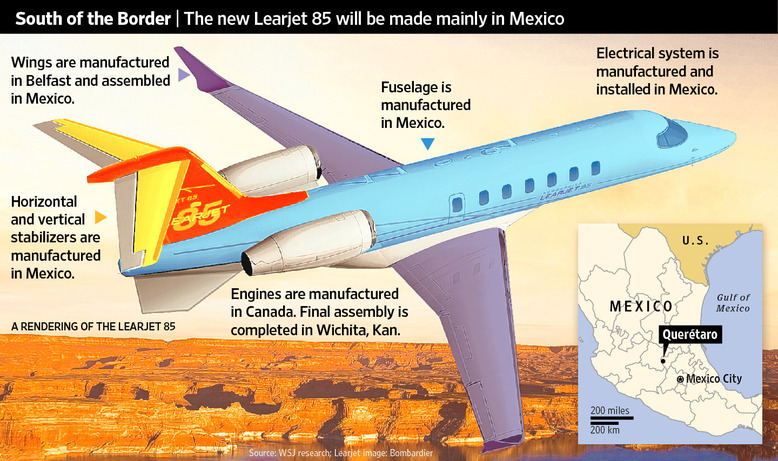 Graphic from the July 29th, 2011 Wall Street Journal article "the New LearJet: Now Mexican Made." 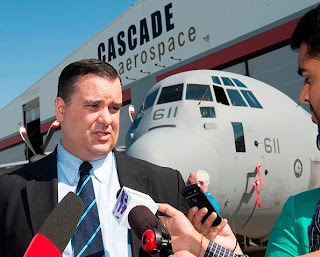 As outlined in the September 9th, 2013 post “Emerson Update: Aerospace is Go but Space Still Stalled!”, Industry Minister James Moore has announced the rollout of a $110 Mln CDN technology demonstrator program for aviation companies as originally recommended by the Emerson Review. Add that to the $1Bln CDN promised over the next seven years under the Strategic Aerospace and Defence Initiative (SADI), as allocated in the March 2013 budget, and the emerging general consensus is that large aerospace firms have done quite well from the review. Then Heritage (now Industry) Minister James Moore responding to a question in the House of Commons on June 11th, 2013. Photo c/o Sean Kilpatrick/ Canadian Press. However, the funding recommendations from the second volume of the review, (titled "Reaching Higher: Canada's Interests and Future in Space"), especially those targeted at smaller engineering firms and NewSpace startups, have simply not been implemented by the current government. This neglect of smaller companies is to Canada’s detriment. The deferring of aid for small start-ups and emerging companies not only inhibits growth and increases risk, but also prevents the development of Canadian manufacturing capability. As well, the Canadian government’s apparent focus on large firms ignores a key fact: large firms don’t last forever. The history of Canadian business abounds with stories of once-mighty giants withering away. Firms with names like Mitel, Northern Telecom, and Research In Motion spring to mind. The Canadian government would do well to incorporate attrition into its planning, grooming many small start-ups, so that a handful may emerge as large players. In an ever-more-competitive global marketplace, such diversity will be essential for long term survival. Canada will face a variety of challenges. An emerging global sector of freelancers is enabling business, engineering, design and production talent to be harnessed from anywhere on Earth at extremely competitive prices. Peter Diamandis is scheduled to speak at the next Ideacity in Toronto, Ontario from June 18th - 20th, 2014. 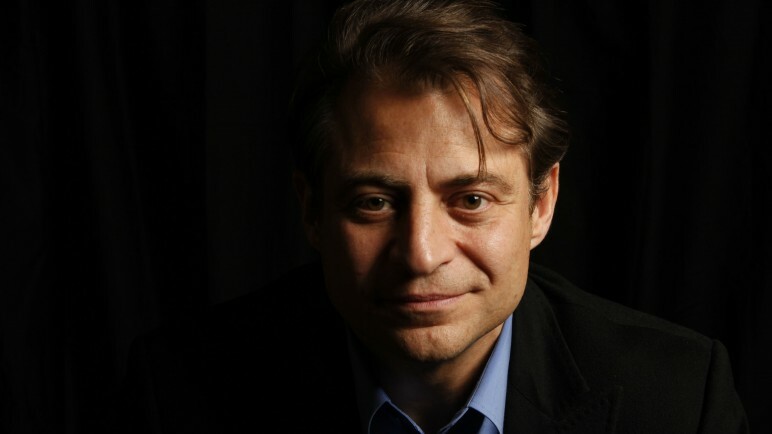 Peter Diamandis of the X-Prize Foundation examined this phenomenon in the August 20th, 2013 X-Prize blog post "How to Tap 7 Million People to Solve your Problem" and the follow-up September 4th, 2013 article "An $1,000 Investment to Millions in Profit: Four Key Ways Entrepreneurs Can Use Freelancers to Profit." In essence, Diamandis is a strong advocate of small entrepreneurial teams and freelancers in technology, manufacturing, aerospace and even space. There are those who would argue that the emerging freelancer culture is not up to the task of designing and building air/spacecraft and their subsystems. However, we are only at the beginning of a transition towards a truly global product development and production cycle. As the pool of freelancers grows and relationships mature, high-end design and fabrication will be incorporated. Small scale firms will be as easily able to tap into the worldwide talent pool as large ones, thus leveling the playing field. Selected components and systems suppliers for the Boeing 787 Dreamliner. 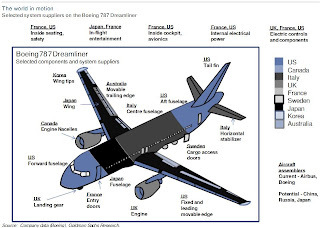 Graphic c/o the January 15th, 2013 Business Insider article on how "the Boeing 787 Dreamliner isn't very 'Made in the USA.'" The Emerson Review itself describes the changes that have occurred in aircraft manufacturing. At one time, aircraft makers made most components themselves and purchased the rest from other firms in their own country. Nowadays, the Boeing 787 Dreamliner and new Bombardier C Series aircraft (as highlighted in the review) are produced mainly outside of North America, with Canada and the US now limited to final assembly – with no guarantee that this will remain so. 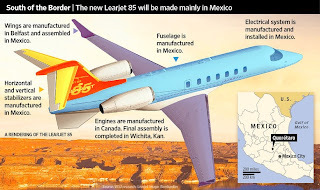 Bombardier Aerospace, owner of Learjet, produces nearly all of its new Learjet 85 in Queretaro, Mexico except the wings, which are produced in Belfast, Northern Ireland. After assembly in Mexico, the aircraft are shipped to Wichita, Kansas for final assembly which involves attachment of the wings, installing the cabin interior, flight tests and delivery to the customer. Opened in 2006, Bombardier Aerospace’s 500,000 sq. ft., 2500 employee facility in Queretaro, Mexico also produces the fuselage sections of the new Global 7000 and 8000 corporate jets as well as the flight control work package for the Q400 NextGen aircraft. Many of Bombardier’s suppliers have followed them, building new facilities and expanding existing ones in Queretaro. With over 60 companies from 14 different countries, the 865-acre Queretaro Industrial Park in Mexico "offers the highest quality international design, engineering and construction to comfortably and effectively accommodate world-class manufacturing and warehousing/distribution facilities" according to the Hines investment, development and management website. In addition, this expansion is by no means limited to aerospace. Bombardier Recreational Products (privately owned by the Bombardier family and no longer part of Bombardier Group) has recently built a 600,000 sq. 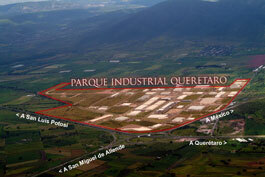 ft. factory in the Queretaro Industrial Park to supplement its existing 400,000 sq. ft. facility in Mexico City. Bombardier Transportation (rail) has even larger facilities in Mexico (about 5,000,000 sq. ft). In February of this year, Bombardier announced transfer of some assembly of their new C Series airliner to a new “temporary” 23,000 sq. ft. facility in Morocco. Bombardier’s Morocco facility has been given 10 hectares of land, is building out another 200,000 sq. ft. of factory space and is nearing 850 employees. In the interests of fairness, Bombardier is adding 667,000 sq. ft. of C Series airliner final assembly and service centre space to their Montreal (Mirabel) facility. The conclusion, however, is clear; other nations are expanding their industrial bases (with associated benefits) at the expense of Canada’s. If the Canadian Government truly wishes to encourage the creation of jobs and growth in the domestic aerospace/space sector, diversification is needed. Implementing the funding recommendations in the second volume of the Emerson report will help foster the development of many small firms. Having a variety of smaller firms will help keep production (and jobs) in Canada. Canada’s aerospace/space sector will not only have breadth, but depth. One of the reasons why Canadian universities contribute to space activities. 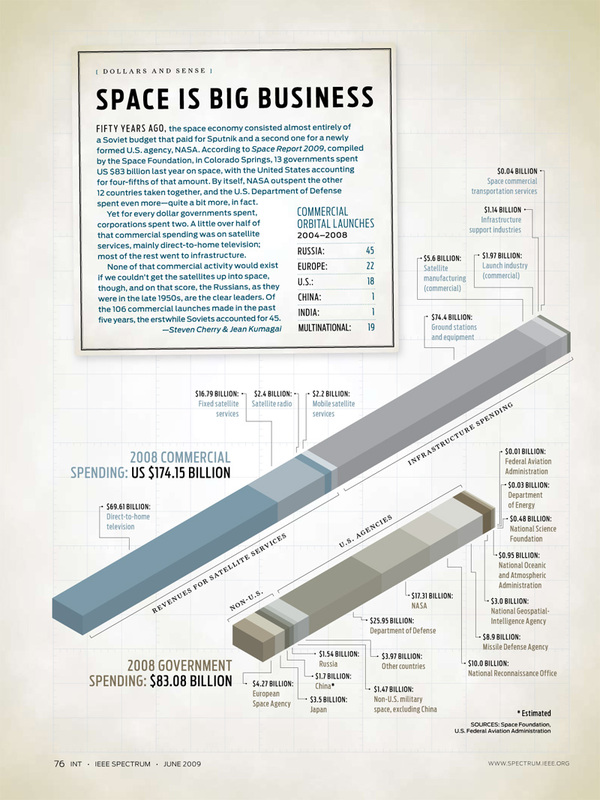 Since the graphic was created in 2009, government funding for space has stagnated, while private sector funding has continued to grow. The September 3rd, 2012 post on "Canadian Universities with a Space Connection" provided a high level overview of some of the post secondary educational facilities which help to supply space science, technology, engineering and mathematics (STEM) professionals for both commercial and government space efforts. The Carlton University Department of Mechanical and Aerospace Engineering – Students from this faculty came in third in the 2008 NASA Great Moon Buggy Race. Its also the home of the CU3SAT micro-satellite project, which competed in the 2012 Canadian Satellite Design Challenge. Concordia University - Home of Space Concordia, a team of Concordia University engineering students interested in the techniques and processes of astronautical engineering. 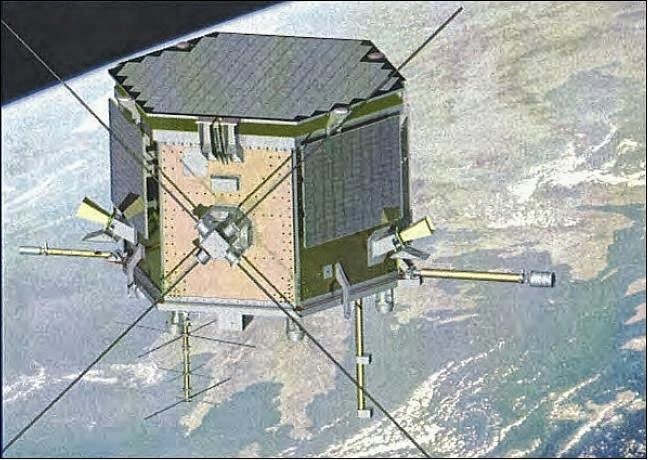 The team was an entrant in the 2012 Canadian Satellite Design Challenge. McGill Institute of Air and Space Law – Focused on "training aviation and space focused lawyers to serve throughout the world." The faculty maintains close relationships with the American Bar Association (ABA) Forum Committee on Air and Space Law and publishes the Annals of Space Law Journal. The Perimeter Institute for Theoretical Physics - A basic research centre dedicated to "exploring the world around us at its most fundamental level." The institute supports over 80 resident researchers and a vigorous visitor program of cross-disciplinary research in condensed matter, cosmology & gravitation, particle physics, quantum foundations, quantum gravity, quantum information theory, superstring theory and related areas. The Ryerson University Engineering Graduate Program – Focuses on aerodynamics and propulsion, aerospace structures, manufacturing, avionics and aerospace systems. The University of Alberta - Home to both the Centre for Earth Observation Sciences (CEOS), which uses Earth observation and imaging technology monitor environmental changes, manage resources and formulate sustainable development policies, and the Institute for Space Science, Exploration and Technology (ISSET), a pioneering interdisciplinary centre for planetary and space research. University faculty have also organized the annual Canada-Norway Student Sounding Rocket (CaNoRock) exchange program and the University AlbertaSat-1 team competed in the 2012 Canadian Satellite Design Challenge. The University of British Columbia - Home of the UBC Orbit team which competed in the 2012 Canadian Satellite Design Challenge and Dr. Jaymie Matthews, who acts as chief scientist and principal investigator for the Microvariability & Oscillations of STars (MOST) microsatellite. The University of Calgary (UofC) - Home of the Institute for Space Research, which is part of the Department of Physics and focused on the areas of space plasma, aural imaging and analysis and modeling plus the Institute for Space Imaging Science which is leading the development of the Enhanced Polar Outflow Probe (e-POP), a scientific payload for CASSIOPE, the first, made-in-Canada multi-purpose small satellite mission from the Canadian Space Agency (CSA). The University of Guelph Controlled Environment Systems Research Facility (CESRF) - Part of Ontario Agricultural College, CESRF and its Space and Advanced Life Support Agriculture program focus on plant research for space and other closed environment related activities. 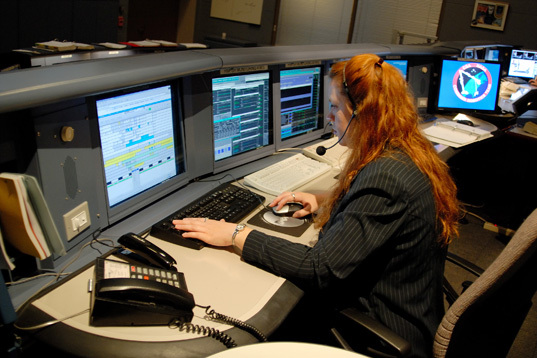 Has useful connections with the Canadian Space Agency and the strong support of NASA's Advanced Life Support (ALS) community. The University of Manitoba - Home of the UMSATS, which competed in the 2012 Canadian Satellite Design Challenge. The University of Saskatchewan Institute of Space and Atmospheric Studies - Focused on the observations, theory and models are used to investigate the earth's troposphere, middle atmosphere, ionosphere and magnetosphere. 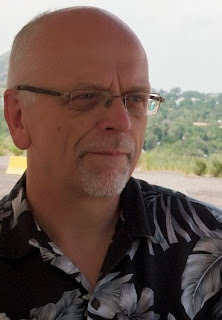 Possesses strong links to the Canadian Space Agency (CSA) through various contributions to the Optical Spectrograph and InfraRed Imager System (ODIN OSIRIS), the Time History of Events and Macroscale Interactions during Substorms (THEMIS) mission, the Canadian Geo-space Monitoring (CGSM) programs and the Canadian Network for the Detection of Atmospheric Change (CANDAC) plus international research connections through the Climate And Weather of the Sun-Earth System (CAWSES) program, the Super Dual Auroral Radar Network (SuperDARN) and the Advanced Modular Incoherent Scatter Radar (AMISR) program. The University of Saskatchewan Space Design Team (USST) - A student run organization which dominated the 2011 NASA sponsored Space Elevator Games and competed in the 2012 Canadian Satellite Design Challenge (CSDC). The University of Toronto Institute for Aerospace Studies (UTIAS) Space Flight Laboratory (SFL) – The first Canadian academic institution able to build low cost spacecraft, micro-satellites and nano-satellites. Collaborates with business, government and academic institutions on the development of new space technologies and strengthening the Canadian skill base in space systems engineering. According to Wikipedia the institute “has seen a number of firsts: world’s first microwave-powered aircraft, the world’s first engine-powered ornithopter (both inventions of James DeLaurier) and Canada’s first space telescope MOST.” Areas of expertise include aircraft design (particularly at subsonic speeds), flight simulation, space robotics, micro satellite technology, computational fluid dynamics and nuclear fusion. The facility has close relationships with Bombardier, NASA Ames, and MD Robotics. The University of Waterloo – Home of Canada's largest engineering faculty (divided up into several different schools and research centres, most notably Mechanical and Mechatronics Engineering) the university also hosts the Waterloo Space Society (WSS), which organizes and promotes space-related events at Waterloo and the larger community. The WSS also has two active engineering sub-teams: WatSat which is participated in the 2012 Canadian Satellite Design Challenge and UW Rocketry which is participated in the Intercollegiate Rocket Engineering Competition. The University of Western Ontario (UWO) – Home to the Canadian Lunar Research Network (CLRN), composed of people from a range of professions (scientists, engineers, and entrepreneurs) and from a variety of organizations (academia, industry and government) focused on Moon research, plus the Centre for Planetary Science & Exploration (CPSE), focused on building planetary science, exploration and space systems design. York University - The old Faculty of Science and Engineering split apart into the Faculty of Science and the Lassonde School of Engineering in 2012. The new Lassonde school includes the department of Earth and Space Science and Engineering (which bills itself as the only accredited "space engineering" program in Canada) and the Earth and Space Science graduate program. It's expected that the new curriculum slowly being rolled out at Lassonde will also include student co-op placements plus (in co-operation with the Schulich School of Business and Osgoode Hall Law School) an emphasis on business and law components considered relevant to high tech engineering firms. York scientists, engineers and students have contributed the Phoenix Scout Mission, SCISAT (the Canadian Space Agency mission to research the ozone layer) the Canadian WINDII instrument (on NASA’s Upper Atmosphere Research Satellite) and the Canadian OSIRIS instrument (for Sweden’s Odin satellite). York is also home of the York University Rover Team which competed in the 2011 University Rover Challenge, an annual event organized by the US based Mars Society. 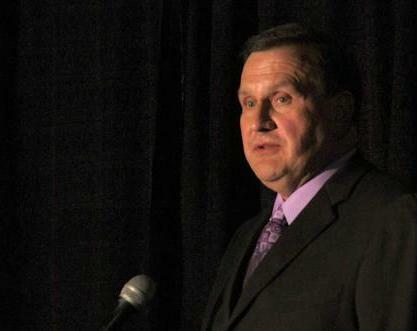 Paul Spudis, at the 2011 International Space Development Conference (ISDC2011), where he spoke on the topic of "Can We Afford to Return to the Moon." Photo c/o Moonandback. On September 5th Moon Express (ME) a NewSpace firm intent on lunar resource extraction, announced the addition of two leading planetary scientists to its staff, one of whom also happens to be a strong critic of the NewSpace industry. Jack Burns. Photo c/o Jack O. Burns. Dr. Paul Spudis, a senior staff scientist with the Lunar and Planetary Institute in Houston, TX has joined ME as its chief scientist. 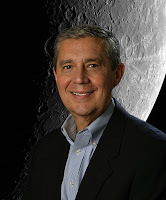 Also new to the ME roster is Dr. Jack Burns, the director of the NASA Lunar Science Institute’s Lunar University Network for Astrophysics Research (LUNAR) and member of the NASA Advisory Council. Burns joins Moon Express as chair of its Science Advisory Board, where his task will be to set the company’s scientific and resource utilization goals. Bob Richards. Photo c/o Moonandback. The announcement was made during a meeting of the Commercial Spaceflight Federation (CSF) in Houston, Texas by ME co-founder and CEO Bob Richards, who also serves as vice-chair of the CSF’s Space Resources Committee. Based in Mountain View, California, ME was founded by a group of Silicon Valley and space industry entrepeneurs including Dr. Bob Richards, Naveen Jain, and Dr. Barney Pell in August of 2010. Moon Express’ stated long term goal is mining the Moon for resources including rare Earth elements like Gold, Platinum, Niobium and Yttrium as well as lunar water for use in spacecraft fuel depots. To this end, the company plans to send a series of robotic spacecraft to the Moon for ongoing exploration and development. ME intends to derive revenue from lunar transportation and data services (i.e. imagery/maps) provided by these spacecraft. Moon Express is also an entrant in the $30 Million USD Google Lunar X-Prize. Dr. Spudis has been a long-time advocate of utilizing lunar resources to develop the Moon and cislunar space infrastructure, topics he often discusses in his popular blog, ‘The Once and Future Moon.' Spudis frequently advocates for stronger government involvement in space economic development, reflecting his ideology of beyond-Earth-orbit being the rightful domain of government. Spudis has also been a frequent critic of the NewSpace industry, arguing that it is in too primitive a stage of development and is sustained only by marketing hype and government subsidies. While deriding SpaceX supporters as “cheerleaders” and the upcoming Falcon Heavy launcher as a “fantasy rocket,” Dr. Spudis conveniently ignores how efficiently NewSpace firms have used their resources and have helped to rekindle public interest in space. With the continuing schizophrenia, starvation and paralysis in the US space program, events like the recent departure of NASA deputy director Lori Garver and the hiring of Paul Spudis by Moon Express are potent reminders that ideology (no matter the flavour) must eventually yield to practicality. Emerson Update: Aerospace is Go but Space Still Stalled! Industry Minister James Moore talking with reporters at the Abbotsford Air Show on August 9th, 2013. Photo c/o Richard Lamb/ Industry Canada. 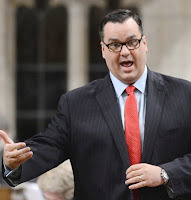 Industry Minister James Moore has announced the role-out of a $110Mln CDN program originally recommended by the November 2012 Federal Review of Aerospace and Space Programs and Policies (the Emerson Review). The new program is essentially identical to the 3rd recommendation on page 12 of the first volume of the report (titled "Beyond the Horizon: Canada's Interests and Future in Aerospace"), which recommended that the Federal government "create a program to support large scale aerospace technology demonstration." But funding recommendations from the second volume of the review, (titled "Reaching Higher: Canada's Interests and Future in Space"), especially those targeted at small business engineering and new-space start-ups, have not yet been publicly embraced by the current government. The latest Emerson success, at least on the aviation side of the ledger, is promoted in the September 4th, 2013 Aerospace Industries Association of Canada (AIAC) press release "Industry Minister James Moore Announces Launch of Technology Demonstrator Program," which is also available (with a few modifications) on the Federal government Canada News Centre website under the title "Harper Government Launches Key Aerospace and Defence Program." As outlined in the press release, the Federal government will be moving forward to launch a new technology demonstrator program, to "fund large-scale technology demonstration projects designed to prove the viability of newly developed technologies prior to bringing them to market." The program, first announced as part of the government’s 2013 Economic Action Plan and initially reported in the March 24th, 2013 post "Emerson's Space Plan Versus the Canadian Budget," will provide $110Mln CDN over four years with "a further annual commitment of $55Mln thereafter." As outlined in the press release, statements of interest for the program must be submitted by December 6th, 2013 and an announcement of approved projects will be made in the fall of 2014. But while smaller Canadian space companies could certainly apply to the new program, there is no specific incentive for them to do so and many hoops to jump through. The majority of applicants are expected to be large aviation companies like Montreal based Bombardier. Not that there is anything wrong with that. But what the smaller Canadian space industry is really looking for is outlined in the second volume of the Emerson report (not the first) and summarized in the December 12th, 2012 blog post "What the Space Volume of the Aerospace Review Actually Says." 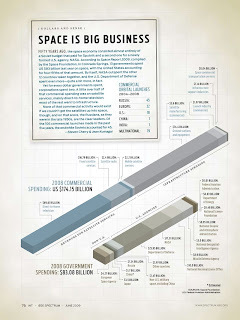 Essentially, the equivalency between what the space industry wants and the aerospace industry has already been granted is predictable overall funding for procurement and programs (as outlined in the 4th recommendation on page 34. This would cost far less than the $1Bln CDN in additional funding promised over the next five years for the Strategic Aerospace and Defence Initiative, also announced in March 2013 and derived from Emerson 1st volume recommendations) plus an expansion of the funding allocated for programs which support the development of space technologies for enhanced industrial capabilities (part of the 7th recommendation, on page 41). Key among these programs are the Space Technologies Development Program (STDP) and the Earth Observation Application Development Program (EOADP). These are currently Canadian Space Agency (CSA) managed programs for which Emerson recommended an overall additional $10Mln CDN per year during each of the next three years plus ongoing and consistent funding afterwards. All of which is well and good. But all that strategic planning should have coalesced into something useful by now, in much the same way as policies and programs outlined in the first volume of the Aerospace Review are now being funded and implemented. It's time to move forward with the recommendations in the second volume. Aubrey Bouvier. Photo c/o UWO. While ex-astronauts Roberta Bondar and Julie Payette are most often mentioned in public statements relating to women involved in the space program, Canada also has a variety of other up and comers who are well worth getting to know. Dr. Audrey Bouvier, an assistant professor at the Centre for Planetary Science and Exploration at the University of Western Ontario is typical of our up and coming space scientists, but also special, given that she has just received the prestigious Nier Prize (named after Alfred O.C. Nier, the American physicist who pioneered the development of mass spectrometry). 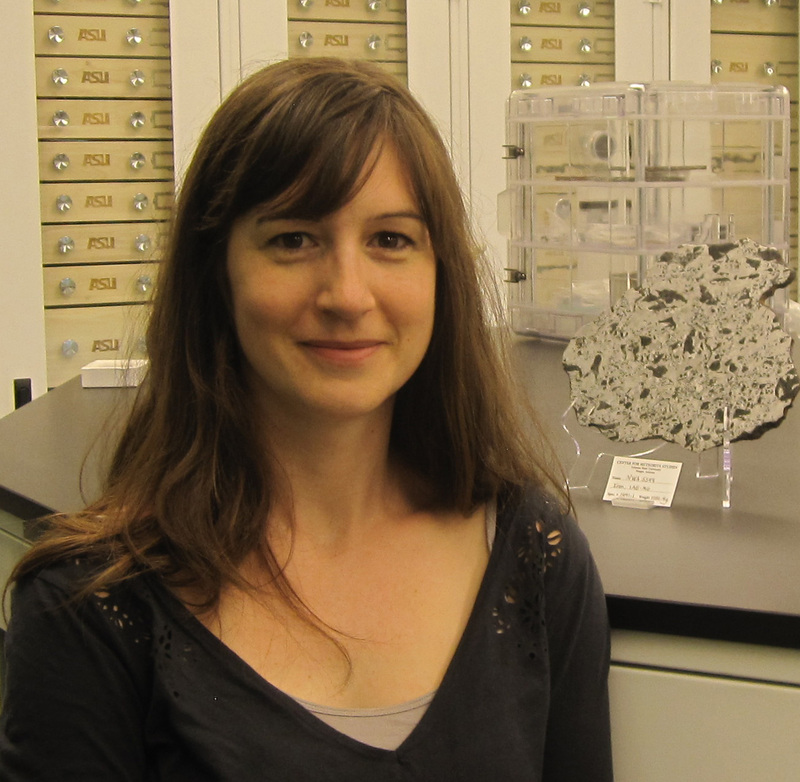 The award, which recognizes outstanding research in meteoritics and closely allied fields by those under 35, was presented to Bouvier for her "significant contributions to understanding the isotopic compositions of Solar System materials and the timescales of their formation" according to the schedule of the 76th Annual Meteoritical Society meeting. Danielle Cormier, on the job at CSA headquarters in Longueuil, Quebec. Photo c/o CSA. One of the key jobs at the Canadian Space Agency (CSA) is the job of mission controller and Danielle Cormier, the current CSA mission controller for robotics, is generally perceived of as being very, very good at her job indeed. A CSA employee since 1995, the PQ based Cormier has received degrees in engineering from Ecole polytechnique de Montréal and Université de Sherbrooke plus a degree in space studies from the International Space University (ISU). As described on the Canadian Space Agency (CSA) website, one of the core members of the Mars Phoenix spacecraft Meteorological Station (MET) Canadian science team was MET mission scientist Vicki Hipkin. Dr. Hipkin was described as an atmospheric physicist " fascinated by extreme environments," who studied the atmospheric boundary layer over Antarctic ice shelves, and is interested in atmospheric gases that might be evidence of subsurface activity on Mars. She has also worked with scientists at York University to use MET data to improve atmospheric models of the Mars water cycle and is currently the CSA senior program scientist for planetary exploration. Calgary based Shawna Pandya, has just got to be the only person ever who, when originally rejected for NASA training in 2012, was saddened that she had to fall back on her second career choice of brain surgery. Currently a neurological resident and the chief marketing officer for CiviGuard, Inc., a Silicon Valley start-up based at NASA-Ames and incubated through Singularity University, Pandya is able to combine both and is also a published author on telemedicine, space technology spin-offs for medicine and an expert on the neuroArm, the world’s first intra-operative, MR-compatible image-guided robotic arm for neurosurgery. She also expects many more opportunities to get into space. As outlined in the August 27th, 2013 Women You Should Know article "STEM Rock Star Natalie Panek Is Revolutionizing How We Think About Women In Tech," Calgary based Natalie Panek, has also always wanted to travel to space. According to Panek, "realistically this a huge endeavor to undertake, but I am of the mindset to set the bar really high and enjoy the journey regardless of the outcome. There are really high standards for astronaut selection and the space industry is changing so much right now, that the definition of an ‘astronaut’ could change drastically in the next few years.” Palek regularly speaks at events on leadership, women in technology, space exploration and also founded The Panek Room, a digital destination of resources that promises “revolution, inspiration and adventure” from science, engineering, and technology. As for her day job, Panek is a robotic operator and aerospace engineer at MacDonald Dettwiler (MDA). The five women above, and the many more who could be listed in an article of this nature, bode well for the future of Canadian space activities. We should embrace their success.